As I said, Blazor is experimental, but hopefully it will become an official part of the ASP.NET offer in due course. It relies on a technology called Web Assembly which is available in all modern browsers. You don't actually need to know anything about Web Assembly to use Blazor. 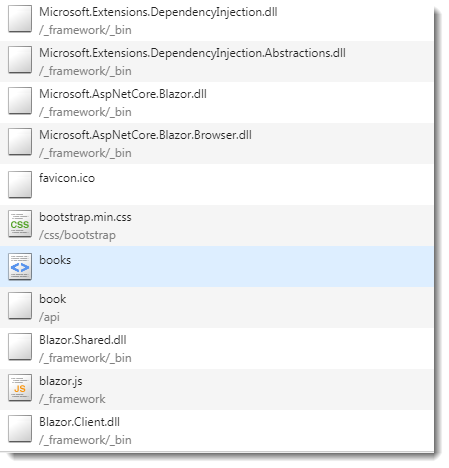 I have been watching Blazor since it was announced that it was being adopted by the ASP.NET team and have been playing with samples on and off since then. I have dabbled a tiny bit with Angular and React, and just like React, Blazor is based on components being the building blocks of UI. Unlike React, you don't use JSX or strings to build your components - you use Razor, just like in MVC or Razor Pages. What could possibly be simpler? 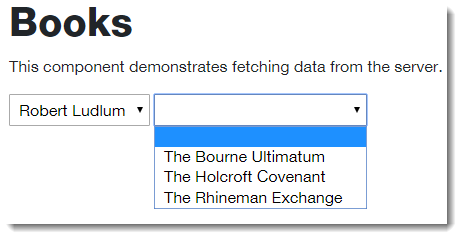 To demonstrate how this works currently - it's changing all the time - I thought I would have a go at implementing that old favourite among UI patterns - Cascading Dropdowns. If you want to play along, you should follow the setup instructions here to get Blazor working in your environment. 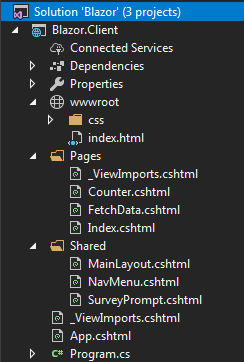 Once you have done that, you should choose the Blazor (ASP.NET Core hosted) option which will generate a solution consisting of 3 projects: a <solution_name>.Server project that includes a Web API controller; a <solution_name>.Client project that holds the Blazor application and component files; and a <solution_name>.Shared project that holds class files for entities used in both of the other projects. The data is hardcoded but it could just as easily come from a database. At the top of the component, a using directive is added to bring the Shared project into scope so that the entities declared in it can be referenced. Next, a route is defined using an @page directive. The syntax for this is very similar to Razor Pages. However, the @page directive is required for a Razor Page, whereas it is only needed in a Blazor Component if the component is to take part in routing. The @inject directive is then used to provide an instance of HttpClient from the dependency injection container which will be used to call the Web API controller. There are actual .NET dll files there. They are used by a special version of the NET runtime being developed by the Mono team to work with Web Assembly in the browser. The total download size in this example is 1.8Mb, but the team working on Blazor will be looking to optimise this kind of thing before it ever gets to a stage where the framework can be used in production. Blazor is extremely promising. The team stress that it is an unsupported experimental web framework and that it should not be relied on for production use. There is a lot of work to be done but they seem to be committed to doing it, certainly for the time being. Personally, I'd love to see Blazor released.